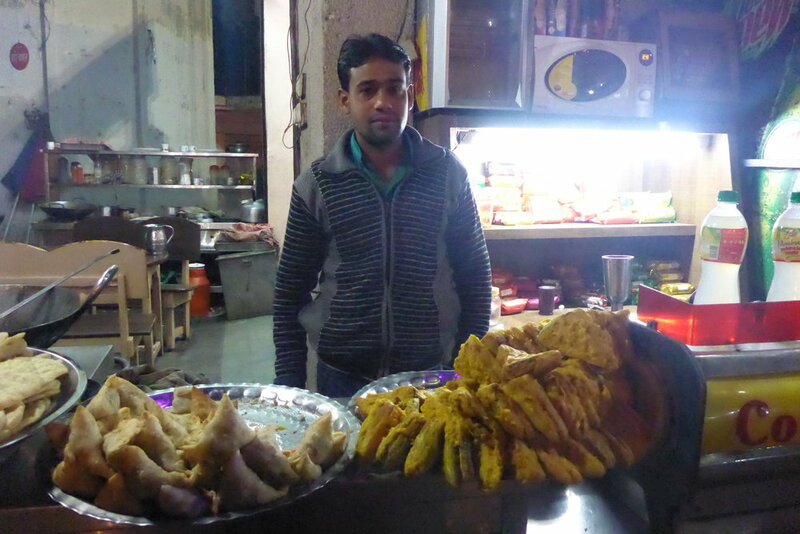 One of the central reasons anyone should come to India is for the food. It's rich, creamy, spiced, and complex – Indian food is like nothing else on Earth, and you haven’t tried it until you’ve eaten it in India. Someone said to me ‘Indians love sugar and spice’, and it’s absolutely true. When ordering coffee, I’ve had to start asking for sugar on the side because I literally cannot fathom how or why you would/could put that much sugar in a single cup of coffee. The desserts are basically cardamom and turmeric-infused lumps of sugar – both amazing, and mind-blowingly sweet. Gulab Jamun (one of their national desserts) is a sugar/curd ball that is both deep-fried in, and served with, sugar syrup. They don’t care about waistlines, cholesterol, or portion control, here it’s all about the taste, and if that means putting a lump of ghee in with a lump of oil, so be it. You’ll grow fat, but you’ll do it with relish. If it feels like there’s an earthquake in Sydney on 15 May, don’t stress, I’ve just re-entered the country. 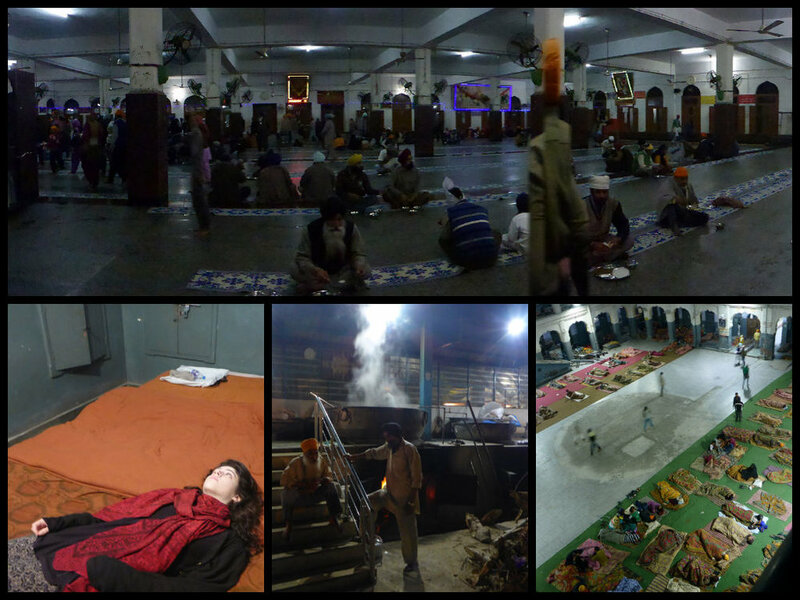 For the time being, our culinary adventures have taken us from Jaisalmer to Amritsar: The hectic Sikh city of the north. This place has everything. Free accommodation, free food*, dagger shops, gun shops, shoe shops, female turban wearing Anglo-Saxon Sikhs, Punjabi thali, an extravagant amount of cycle rickshaws, and the incredible Golden Temple. 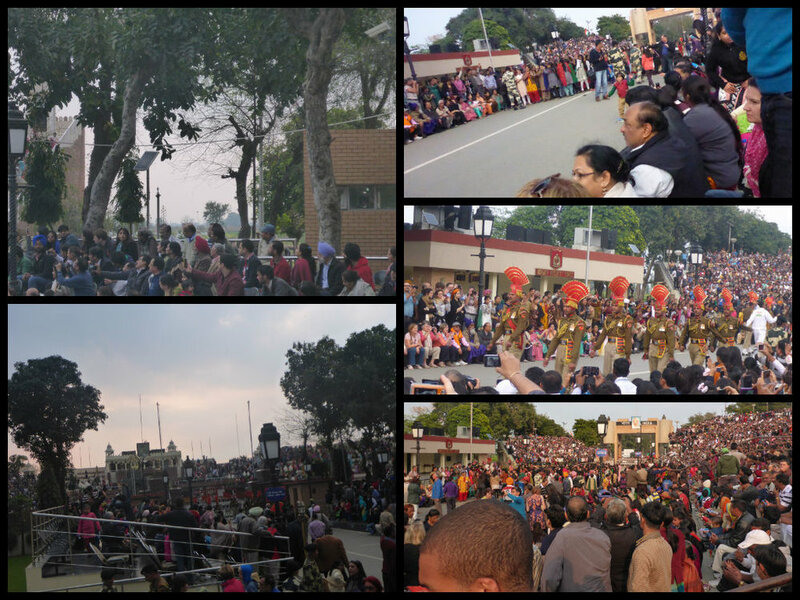 While Amritsar had some amazing qualities, and the Golden Temple was fabulous and beautiful and everything you think it’ll be and more, a major highlight was the Indian/Pakistani boarder ceremony. According to Lonely Planet, 'the purpose of the ceremony is to lower the national flag and formally close the border for the night' – but it is so, so much more than that. First of all, the whole thing’s done across two amphitheaters with a large gate dividing the two countries in the centre. We got there and a huge crowd of Indian women were dancing Bollywood-style in front of the masses, who were cheering raucously as the fifth chorus of Jai Ho exploded from the speakers. If you look left, you can kind of see the gate at the boarder, and Pakistan side of things. This went on for a while, as more and more people entered the venue and scrambled to find seats, until an Indian MC started chanting crowd-pleasing chants with a megaphone, and a Pakistani MC started chanting crowd-pleasing chants with a megaphone, and I realised there were hoards of people on both sides of the boarder, patriotically yelling 'Hindustan! ', 'Pakistan!' while a bunch of soldiers (oiled moustaches, flourished turbans, and starched uniforms galore) march theatrically, with comical seriousness, towards the border, stomping with such rigor you find yourself checking that the heels of their shoes are still in tact. They put ballerinas to shame with the magnitude of their high-kicks, as each side tries to outdo each other in cheers, marches, and chants. Having grown up hearing about the tensions between India and Pakistan, it’s kind of surreal to see such a cohesive and uplifting display between the two nations – this happens every evening. The next day we moved on to the Golden Temple, which was pretty spectacular. You can’t enter with shoes, or without a scarf of some kind covering your head, and there is an hour-long wait to get in to the temple itself, but it really is worth it, and it’s not like you get bored. There are some killer-tunes playing through the loudspeakers (coming live to you from a band inside the temple), the crowd sporadically burst in to song, and since people only abide by the queuing method here because they are surrounded by water and physically cannot go beyond the limitations of land, someone behind you will almost definitely poke you in the back for the duration of your wait, so it’s best to think of this as a free massage. From Amritsar we jumped on three state buses to McLeod Ganj, Dharamsala – official residence of the Dalai Lama at the foot of the Himalayas. It was beautiful and freezing. I had to buy another sweater, Chris got some super-socks, we drank beer, ate pizza and momo (Tibetan dumplings), chatted to other tourists, and generally wondered around thoroughly enjoying the place, wishing we could stay all week. The Dalai Lama himself wasn’t there, but we went to the monastery where he resides, spun the prayer wheels the man himself has spun, watched a ceremony, and wandered the grounds. As great as the monastery was, the highlight was the Tibetan museum, located in the complex. Dharamsala is a refuge for Tibetans who have fled their homeland due to the Chinese occupation. I don’t know what I expected from that museum, it seems ridiculous to expect anything else in hindsight, but I didn’t expect it to detail the horrors of the Chinese invasion. There are huge boards with photographs, names, ages, occupations, and dying words of a lot of the people who have set themselves on fire in protest of the destruction of both their country, and their people. There are maps, diagrams, and photographs of what Tibet used to look like, how big the country was prior to invasion, and details of how the people have been dispossessed, oppressed, tortured, starved, and how their culture is being destroyed. I knew of the Chinese occupation, and the Free Tibet movement, but not in detail. If you’re up there, it’s definitely worth a visit, and generally getting involved in the movement regardless of where you are. From Dharamsala we took a particularly awful overnight bus to Rishikesh: Yoga land. After trying to sleep sitting up from 7:30pm to 6:30am, and wandering around for an hour trying to find a hotel with a vacancy, it’s very difficult to listen to porridge-eating, sitar-playing, ‘spiritually enlightened’ tourists go on about how in to new age healing they are, and how they reached the deepest form of meditation ('for five-minutes I was there, deep in meditation, I was really there and it was amazing') without face-planting my food. But after a night of solid sleep, we grew to enjoy it. Rishikesh is situated around the Ganges with some great cafes, massage centres, and people – we could have stayed there for a while. It’s extremely touristy, but endearing. Everyone there is very pro-life and active, it’s kind of contagious, and to be honest, it is nice to eat porridge for breakfast instead of dal and naan. As our time in India draws to a close, I’ve been reflecting on the things we’ve learned, and the most prominent day-to-day thing has been that impatience truly is a way of life. No one waits in line, drives with caution, or cares what is fair and who’s been waiting longer. It’s every soul for themselves. I used to be apologetic but, as we travel, I’m finding that I increasingly don’t give a damn. For reasons I can’t begin to comprehend, a lot of Indian people try to get sneaky photos of us at temples and general tourist attractions. It actually happens frequently, and I used to ignore it, but when it happened today I found myself saying ‘what are you doing? !’ loudly. With feeling. Last week we were in a blanket/scarf/trinket shop full of tourists, and this (tourist) woman had some of those small music symbols (the ones played in movies by busking monkeys in red vests) and she just kept clanging them together. Shamelessly. She didn't even care. She didn’t work there, she wasn’t selling anything, there was no rhythm to it, she was just banging them together, until I said ‘I’m going to break her hands in a second’. I had intended to say it quietly, but it didn’t come out quietly. It actually came out with more vigour that I thought I had at that point I time. She stopped. We left. I wasn’t sorry. I’m still not. After four months of being ruthless and giving no damns, I’m going to get back and make enemies with the whole of Sydney. I apologise in advance for all the innocent people I’m yet to elbow. *One of the great things about Amritsar is that despite all the expensive accommodation around the Golden Temple, the venue offers free accommodation and food for pilgrims and tourists – people come from all over just to be here, even if it means they have to sleep on the floor outside. It’s a once-in-a-lifetime experience. The rooms are very basic, but the beds are comfortable and warm, and you can stay for up to two nights. Free. Breakfast, lunch and dinner are in a large hall where you sit on the floor, hold out your plate, and people come around with giant vats of curry and whack it on your plate, and you can have as much as you like. Then you go outside and get steaming hot chai out of these enormous metal tanks. This place serves 60,000 to 80,000 people per day. It’s all vegetarian, and it’s all great.